This program is designed with you, the parent, in mind. Swimming, games, pizza, crafts, snacks, and no mess to clean up when you get home! Your child will have a great time with our Recreation staff. The evening begins at 6:00 pm and features activities appropriate for all ages. 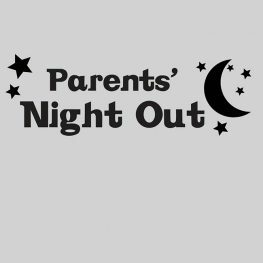 Whether you have a dinner date with your significant other or just need a quiet night at home by yourself, you can be assured that your kids are in a safe and fun environment with the Carbondale Park District. Participants must be picked up by 10:00 pm. Preregistration is required by the day prior to the program, no drop-ins. Please remember to pack a swimsuit and towel for each child registered. Early Bird Discount does not apply. For more information or to register your child, call 549-4222.